Let me preface this by saying there is no right or wrong answer. You may hear from die-hard solo travelers that you are missing out on the “true” travel experience by only venturing out with a safety net of friends. On the other side, you may hear the argument that traveling together is more efficient, economic and safe. As for which style of travel is actually better, it is all a matter of personal preference, where you are in life, and the type of trip you want to experience. As someone who has traveled substantially as a solo female, and now together with my hubby, I am here to share some of the “pros” of each traveling style. Traveling alone undoubtedly gives you more freedom. You are able to do what you want when you want, and you also have the increased opportunity for unplanned spontaneity. During my travels in Cape Verde, I was sitting on the side of the road reading a book when a truck of men and women drove by. A moment of spontaneity turned into a cherished memory. Knowing we were on an island where nothing was further than 3 hours away, I hopped in the back with a truckload of strangers. We rode through the winding roads of Santo Antao Cape Verde, crammed in a truck bed alongside smiling strangers, taking turns passing around a bottle of grogue (rum) and exchanging jokes. In that carefree moment spontaneity, I felt truly free and fully alive. Freedom from naysayers is one of the best perks of traveling alone. Have you ever regretted not doing something during travel because someone else persuaded you not to? They may have said “that isn’t safe”, “that is too expensive”, “that sounds boring” or “you shouldn’t do that”. When traveling alone, there is no one to sway your opinion and talk you down from something that you really want to do. (Side note: Sometimes I realize that, yes, a naysayer can be a good thing by serving as a safety measure. While in Brazil, I really wanted to go hitchhiking. I was alone and had the freedom to make this decision so off I went. I packed my backpack and hitchhiked from car to car across the country. As a young female traveling alone, I had many people telling me afterward that I was being naive and foolish, but I wanted to do it on my own so I did. I may be stubborn, but that was one of the most exciting adventures in my life). Solitude will always provide the opportunity for introspection, however, traveling can sometimes amplify your ability to disconnect from everything you know and truly reflect. There is no need to exhibit extrovert behaviors when alone, you can simply focus on observing and being present. Traveling alone makes it much easier to meet people for two reasons. 1.) You are almost forced to socialize with new people in order to get around; 2.) Others are more likely to approach you. Have you ever seen a foreign tourist with his crinkled over-sized map, looking cluelessly at road signs, while spinning in circles trying to translate road signs? You may have felt compelled to help. Now have you ever seen a group of foreign tourists, maps in hand, pointing to things? Did you help them? It is more likely that you offered assistance to the lone tourist as opposed to the large group. I find if a traveler is alone, others have a tendency to make sure that person is ok. Whereas if the traveler is with a companion or group of friends, passersby may assume that they will just figure it out. The same goes for meeting people in a bar or hostel. If you are alone, it is more likely that others will introduce themselves to make sure that you are ok, not bored, and feel included. When you are with someone else, others assume you are already deep in conversation and wouldn’t be interested in chatting. It is easier to find hook-ups, and by that, I am referring to free things, not the “getting frisky” kind of hook-up….although I suppose it might be easier to find that kind of hook-up too since you become more approachable as discussed in #4. As I was saying, when you travel solo it seems as if discounts, free upgrades, and free anything are much more prevalent. Among other things, I have been bumped up to first class and offered free tour upgrades and show tickets. Many times this is because there is an empty seat so they prefer giving the experience to someone else at no extra cost to themselves rather than wasting it. Anyone who has traveled with a large group knows the dilemma of making decisions. By the time everyone decides what they want to do, they then have to decide who is going to take a shower first and then what they should wear. If personalities are not travel-compatible, this decision-making process can take an excruciating amount of time and energy. When you are alone there is none of that! You have the freedom to do what you want to do when you want to do it, making it infinitely easier to plan a trip. Traveling alone is not always easy. It can be lonely without someone to share your experiences. (Plus the majority of your photos will be selfies.) Navigating unknown territory can be intimidating, scary and sometimes even unsafe. Trying to interpret an unfamiliar language can be challenging and frustrating. When you succeed in traveling alone, it is an instant self-esteem boost. You test yourself by seeing what you are capable of and then wind up feeling like you can conquer the world. 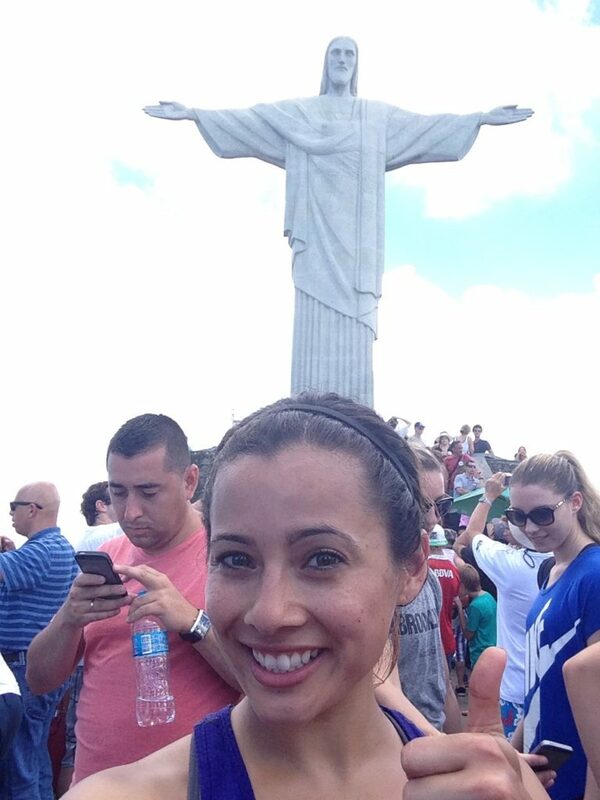 My selfie at Christ the Redeemer in Brazil. Traveling with others sometimes grants you the opportunity to try something new that you wouldn’t otherwise do. Perhaps you typically only stay in hotels when you travel, but your friend prefers immersive homestay experiences. This is an opportunity for you to try something that is new and possibly intimidating with someone who is very familiar with the experience. When you travel with others, your network is automatically doubled. Traveling to places where you know someone can dramatically change your experience and your budget. The more people you know potentially means the more places you can stay and the more people to show you around. While we enjoy exploring a new city on our own, we have found it extremely helpful to have a local friend show us the best places to eat, the important sites, etc. We also enjoy hearing their own narrative of what it is like living there. It really adds to our understanding and appreciation of a place. Couch surfing has made the act of finding a host significantly easier. You have an entire network of volunteers willing to host you for a night or two and maybe even show you around. OK, now I’m talking about the “getting frisky” kind of hook-up. Scott added this one in because he wanted to point out that sometimes someone else can make a good wingman. Costs generally scale when you travel with more than one person. For example, the cost to rent one car is the same whether there is 1 or 3 of you. The cost for one hotel room is the same whether there is 1 person or 4. If your group is large enough, you also may be able to get group discounts for things such as tours. The ease of packing is one factor you might not have considered, but it is certainly one perk which has come in handy on more than one occasion. During my bachelorette party, several girls had to catch a flight at 6 am. Still intoxicated from the night before, many of the girls forgot or could not fit all of their items in their suitcase. I had a later flight as well as extra room, so I was able to pack their items for them in my own luggage. In that case, packing became easier for them. Another instance where multiple travelers come in handy is during the last minute luggage shuffling at check-in. Has the check-in attendant ever told you “I’m sorry sir, but your bag is 3 lbs over the maximum weight”? You frantically open your suitcase trying to decide which items you now have to throw away in order to meet the weight requirements. When you are traveling with others, it is more than likely that one of them will have a bit of extra space for you to shove 3 lbs of clothing into. Traveling with a companion is always safer than traveling alone since 2 sets of eyes are better than one. While we were on a train from Manchester to London, I was napping while a rush of 4 guys ran past us. Scott woke me up to let me know that he was going to go and investigate. The 3 guys had already pinned down the other by the time Scott got there. Apparently, he was found going through the bags in the luggage car and taking things including watches, cell phones, and my camera lens. Had Scott been sleeping, we might not have ever noticed that our belongings were among those which were stolen. As I said, two sets of eyes are better than one. Shame! Shame! Shame! 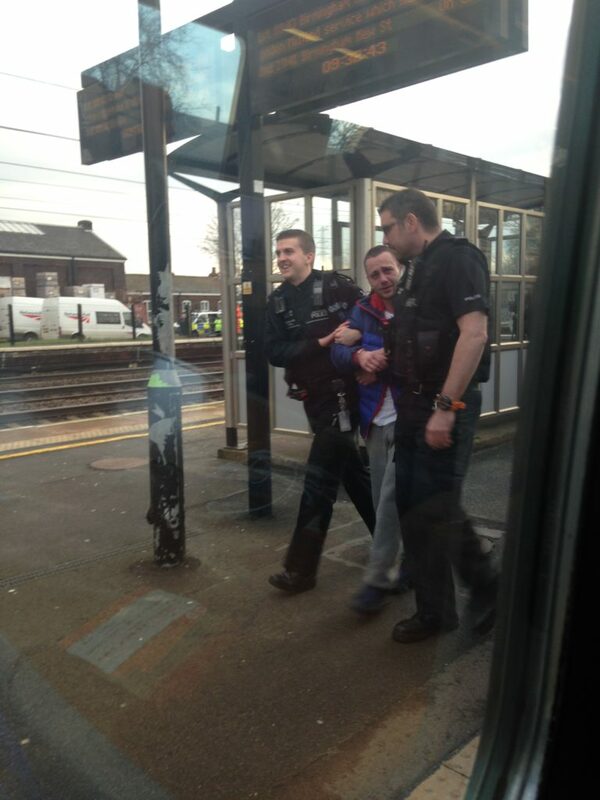 This is the dirty thief that tried to steal our things on the train to London. We were in line at the movie theatre in Costa Rica and Scott asked for 2 “ensaladas” instead of “entradas”. The cashier looked at us confused. We both started cracking up when realized he had asked for 2 salads instead of movie tickets. It was a funny moment that we shared together. Now imagine had Scott been alone for this memory. Traveling alone can be fun and of course, you can meet people along the way, but when it comes time to return to your country, your new friends will still be on the other side of the world. Moments and memories are best shared and it is nice to have a companion or two who you will always have to reminisce on those times together. Just as I began this article, I want to end by stating there is no right or wrong way to travel. Traveling alone was an incredible adventure that I was happy to experience. I realize it is not for everyone and that there are many reasons for not traveling alone, many of which I mentioned above, but if your reason for not traveling is fear, then stop. Waiting for other people to go with you is just the right excuse to keep you from ever accomplishing all those things you want to do. Don’t let fear of traveling alone keep you from seeing all the marvelous wonders and adventures this world has to offer. Having moved into the “married” stage of my life, I would say that I believe memories are best shared. 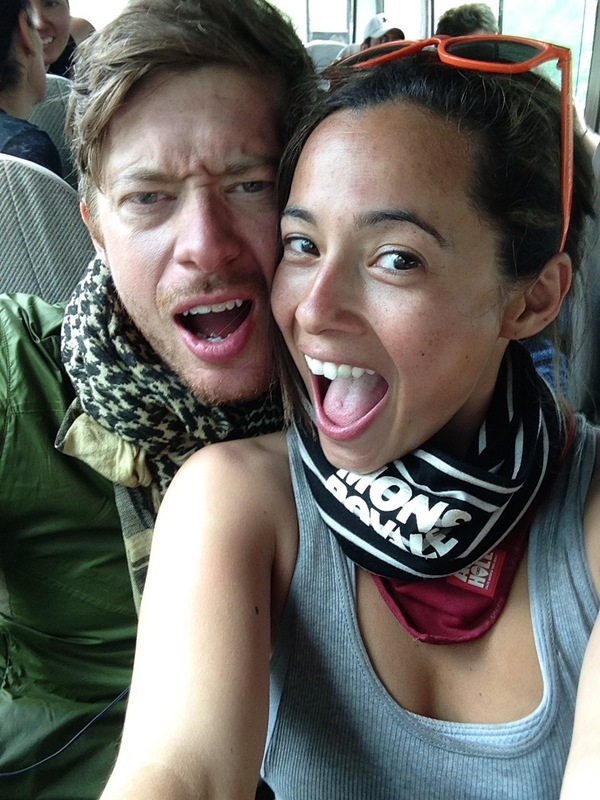 I am so thankful to have found a partner that I am travel compatible with. We enjoy walking as opposed to driving. We like a good mix of local cheap eats and high-end dining. We enjoy most of the same things, but not everything. My one final note is that even when you travel with someone, you don’t HAVE to stay together the entire time. It is ok to separate and do your own thing for a few hours and then meet back up. If you are spending mucho dollars to travel halfway across the world, you shouldn’t have any regrets. Make sure that you find time to do the things which are important to you. This strategy seems to work well for us. What do you think? 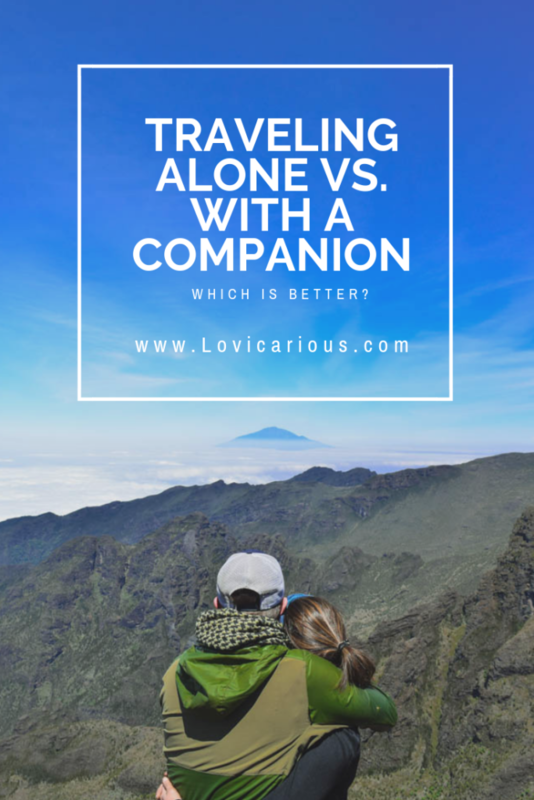 Do you prefer traveling alone or with a companion? Feel free to drop your comments below. There’s pros and cons for both but loved your insights on this post, thanks for sharing! I got the opportunity to travel solo in college and I’m so thankful I did. I went to Hawaii for a summer semester at the University of Hawaii and it was an amazing experience. Now I travel with my husband and sons and cannot travel solo anymore due to a medical condition- but I do believe everyone should try a solo trip at least once if they can! I traveled solo once in college an it was an amazing experience! I can no longer travel alone due to a medical condition, but I’m glad I got to do it before I got sick! Loved this blog! I’ve done both, and most of the time I prefer traveling alone as I have the freedom to do whatever I want, whenever I want. But there are certain instances where I wish there was some one special to share an incredible experience, or sometimes to be a cameraman/woman! Although you rely on your instincts and in general on yourself at times, like you said, it’s best to have another pair of eyes sometimes! Great read and thoroughly enjoyed it!